Oklahoma City, Ok February 21, 2018 – Military Times’ Annual Franchise Ranking is a valuable resource for veterans and a coveted honor for companies around the country. The franchise rankings evaluate company culture, investment quality, overall franchising costs, military discounts and other non-financial supports, including support for franchisees in the National Guard and reserves. 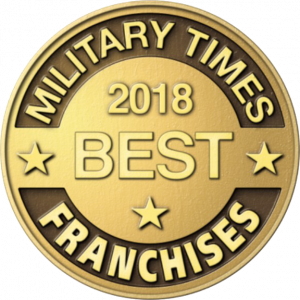 TSS Photography® is proud to be ranked #15 in the 2018 top Military Times Annual Franchise Ranking. TSS is the leader in sports, school & event photography. TSS Photography® offers the most technologically advanced systems for capturing and marketing large volumes of images in the photo industry including a NEW facial recognition feature, mobile ordering, advanced green screen solutions and patented Virtual Groups. TSS owners enjoy working in their local communities with organizations that help with the growth and development of local youth. “TSS is proud to work with the many veterans on our staff, among our franchisees and in the communities we serve. We are honored to be selected among the top 20 franchises for veterans. Our focus is on supporting our TSS franchisees by providing them with the tools they need for success. Ours is a fun business which brings joy to so many and the operation of the business should be just as enjoyable,” says Alison Counts, TSS Marketing Director. “We love to work with veterans and feel they have an appreciation for the defined systems we have in place. For this reason, we also provide financial incentives to our veteran communities,” continues Mrs. Counts. Companies large and small participate in this annual evaluation. To view the 2018 Military Times Ranking online visit www.rebootcamp.com. Military Times is published by Sightline Media Group. To learn more, visit www.militarytimes.com.